Mornings are hard. Eating healthy, most of the time, is way harder. 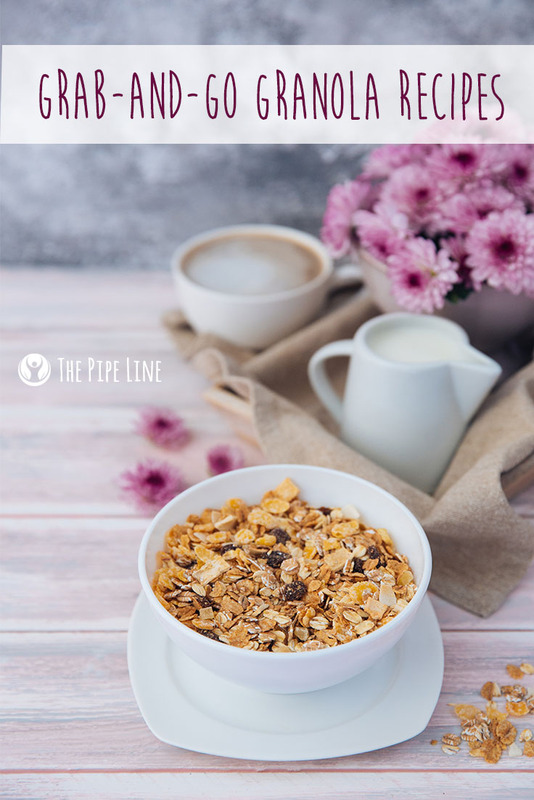 So one thing that can help minimize the thought process of what to eat in the morning is…drum roll please…granola! This healthy, fiber-filled breakfast favorite is not only easy to make at home but is versatile. So, basically, it’s bound to be your soon go-to grab-and-go food item. Worry not, these recipes won’t have you slaving in the kitchen, we’re kind like that. + You can control the amount of sugar you put into the mix. Are you trying to cut back? Use some date syrup as a sweetener. Want to go for a sugar-induced coma? Pour in the dark chocolate chips. 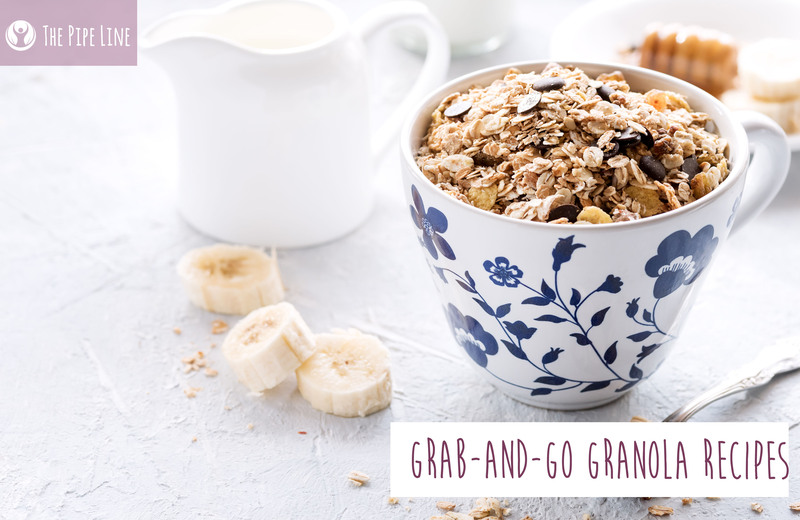 + You can add extra yummies that will help boost the level of healthy goodness of your granola. Add some goji berries for a tart punch that provides a myriad benefits. + You can choose the oil to bake your granola in. Not really one for palm oil or plain jane vegetable oil? Kick them to the curb and step up your nutritional game with coconut oil! Mean Girls reference, you get it? Okay, even if not, this antioxidant-filled granola will be your new favorite to top on plain vanilla yogurt or eat by the handful. First, mix together in one bowl your dry ingredients: 3 cups rolled oats, 1 cup nuts (almonds), ½ cup dark chocolate chips, ½ cup sun-dried goji berries organic, ½ teaspoon salt, 1 tablespoon Cinnamon, 1 tablespoon Seeds of choice. In another bowl mix together wet ingredients: 1/3 cup coconut oil, 1 teaspoon vanilla extract, 2/3 cup honey. Now bring both together in one of the bowls and use your hands to get them mixed well. Spread on the parchment paper on a cookie sheet. Bake for 10 minutes on 300 degrees. Remove, move the granola around so it doesn’t stick. Bake another 10 minutes. Dry and store! First, mix together in one bowl your dry ingredients: 3 cups rolled oats, 1 cup nuts (almonds raw unsalted), ½ cup dried blueberries, ½ teaspoon salt, 1 tablespoon Cinnamon, 1 tablespoon seeds of choice. In another bowl mix together wet ingredients: 1/3 cup coconut oil, 1 teaspoon vanilla extract, 2/3 cup maple syrup. Now bring both together in one of the bowls and use your hands to get them mixed well. First, mix together in one bowl your dry ingredients: 3 cups rolled oats, 1 cup nuts (almonds raw unsalted), ½ cup dried strawberries, ½ teaspoon salt, 1 tablespoon Cinnamon, 1 tablespoon seeds of choice. In another bowl mix together wet ingredients: 1/3 cup coconut oil, 1 teaspoon vanilla extract, 2/3 cup maple syrup. Now bring both together in one of the bowls and use your hands to get them mixed well.